It’s always advisable to be responsible with your gadgets, but life is too short and epic moments too fleeting to let the frailty of your devices impede your dynamic lifestyle. As smartphones and smartwatches are gadgets you’d always want to be with wherever you go, they need to be strong and reliable enough for whatever life throws at you. Available in dark red, GO PLAY adds a touch of color to its sporty vibe. 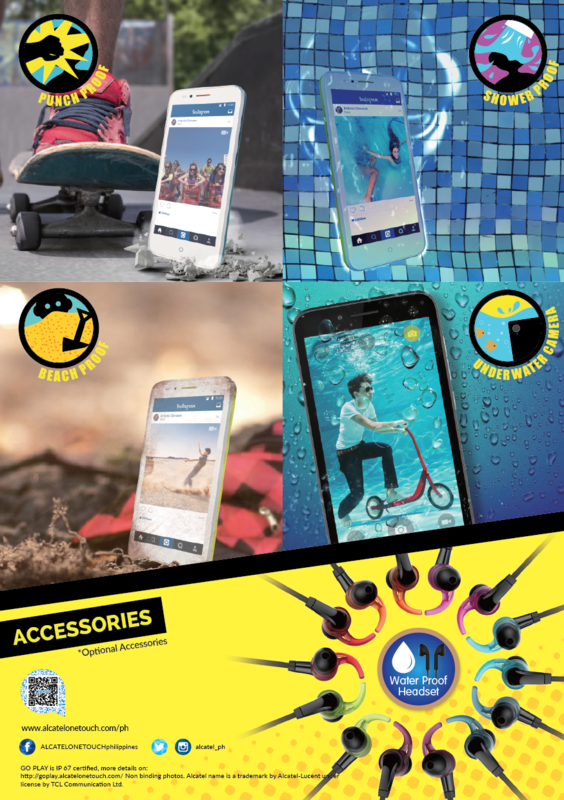 It also offers a free waterproof headset so you can enjoy your physical activities, may it be swimming or running, hassle-free. 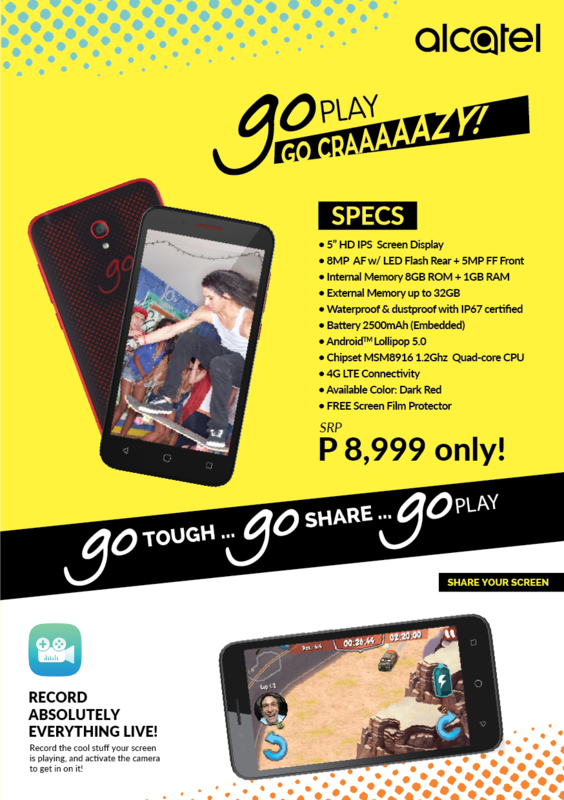 GO PLAY has an SRP of P8,999. GO WATCH is 100% customizable with an optional changeable front casing and wristband to match with the user’s smartphone or OOTD. 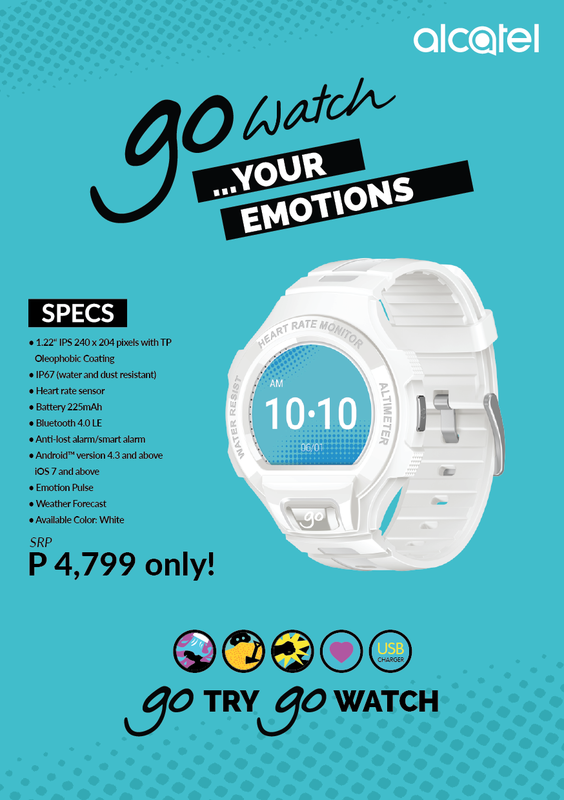 With 2-5 days usage and no special adaptors needed for charging, the GO WATCH is a cost-efficient (SRP: P4,799) no-nonsense, intelligent gear for active users.